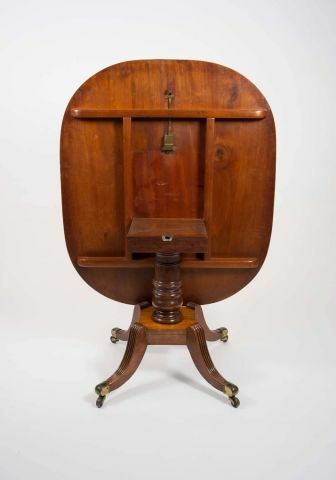 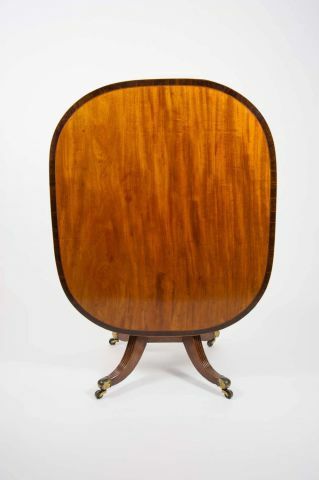 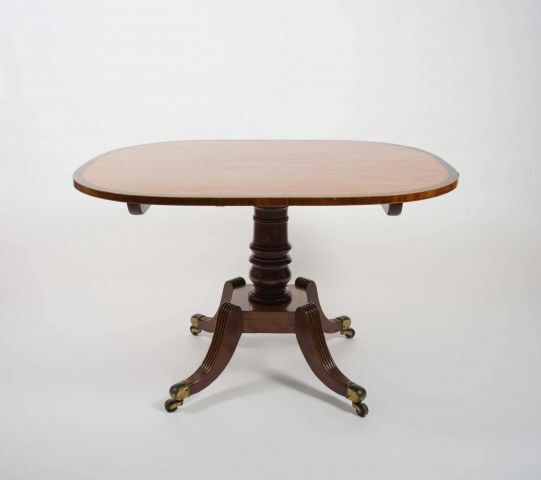 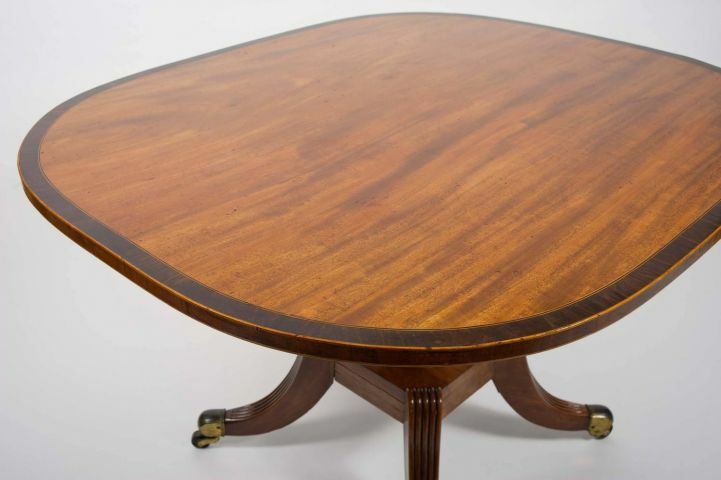 This very attractive and versatile sized English mahogany Regency tilt top breakfast table features a lovely rosewood cross banding border with a rectangular shaped top and rounded corners. 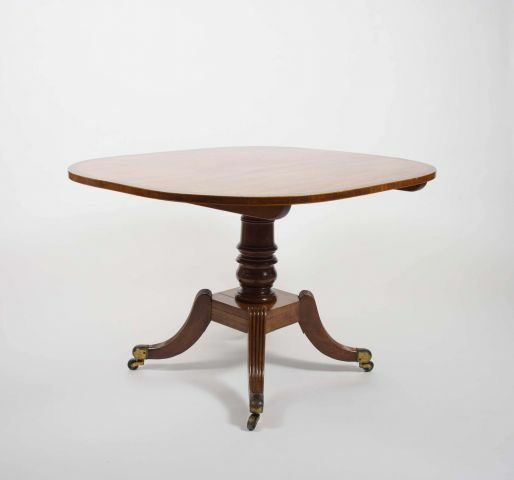 The table is supported on a central column and Quadra form base on brass capped castors. 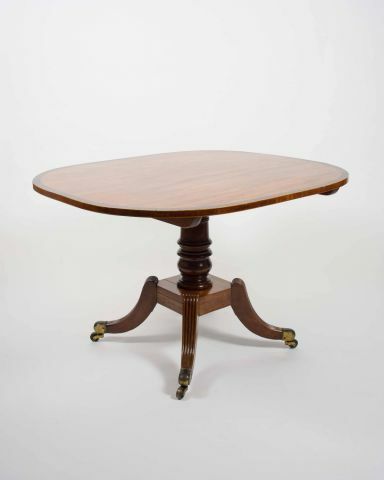 It measures 45 � in � 115 cm wide, 39 in � 99 cm deep and 28 � in � 72.5 cm in height.